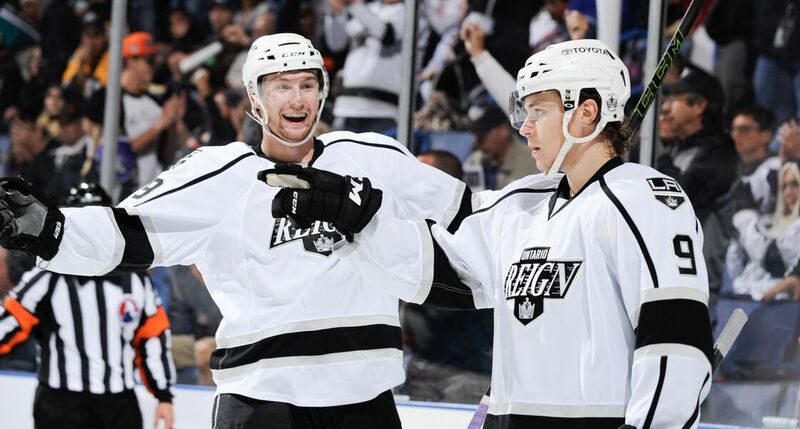 The Reign were looking for a better start and they got one. 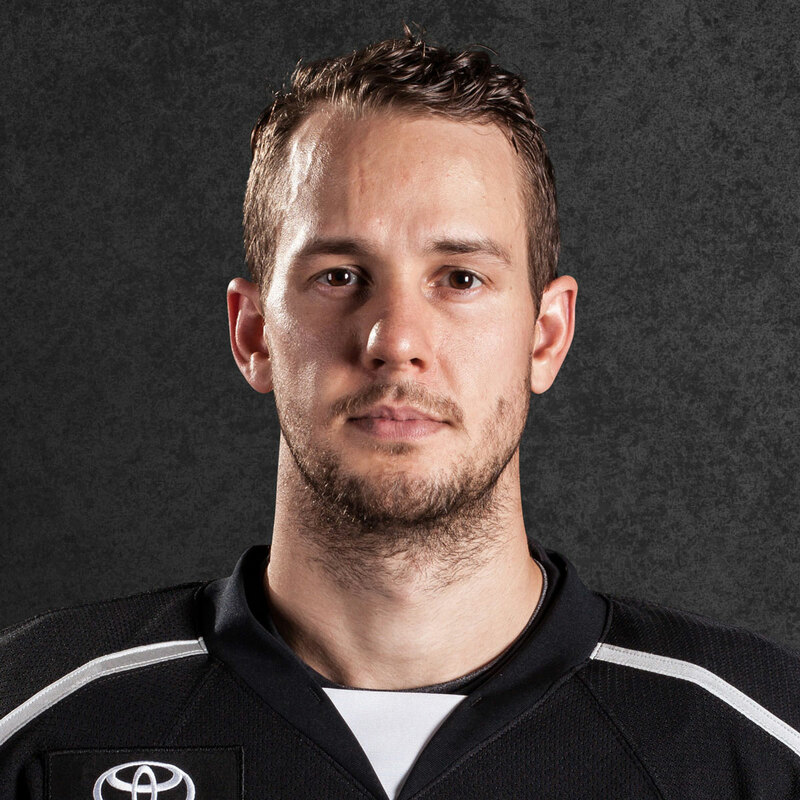 Andrew Crescenzi scored 1:07 into the contest and Ontario went on to beat visiting San Jose 3-0. 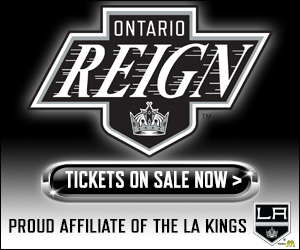 This all after a night when the Reign trailed 3-0 to Bakersfield only to rally back for a 5-4 victory. Both San Jose and Ontario played Friday – not against each other – but with that fact, there wasn’t a ton of flow in place Saturday. Head coach Mike Stothers liked referring to this one as an “efficient” win for his group. –Peter Budaj – The Reign netminder silently picked up his third shutout of the season and his fifth victory by stopping 24 shots. He was sharp throughout, particularly on the penalty kill. Stothers didn’t blink an eye in choosing him on back-to-back nights and he did not disappoint. “Starting 5-0 in this league is pretty impressive so far,” he said of the Reign’s effort. –Michael Mersch – Mersch did his best Budaj impression stopping back-to-back shots at the point to end the second period. Those blocks came after a penalty to Jordan Samuel-Thomas had just expired and really drew some cheers from the home crowd. Stothers said he doesn’t like having any favorites, but loves watching Mersch and would imagine the fans do too. 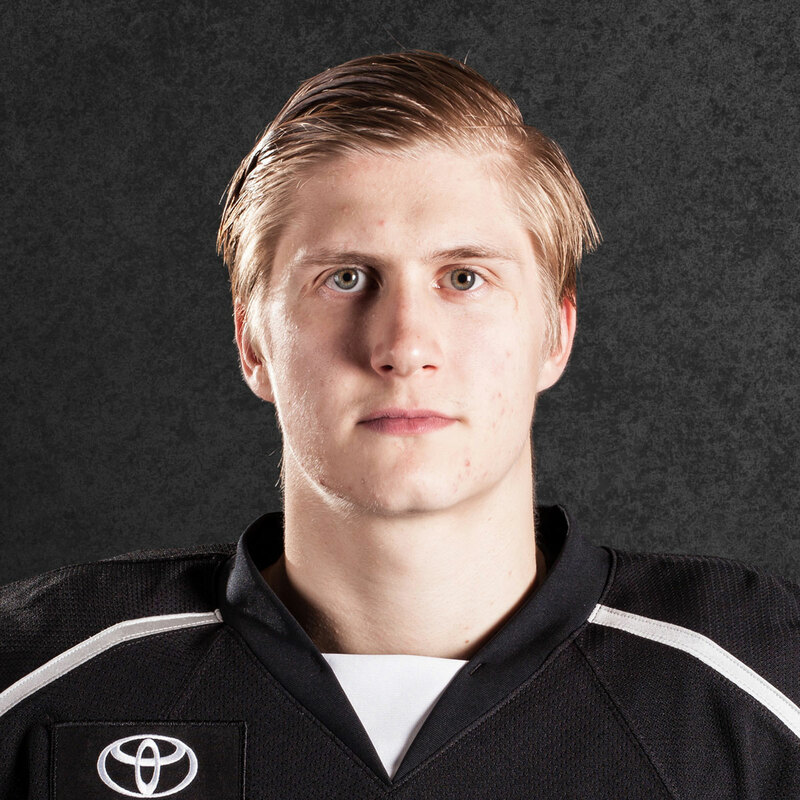 The top prospect picked up an empty-netter to boot, his team-high fourth of the season. 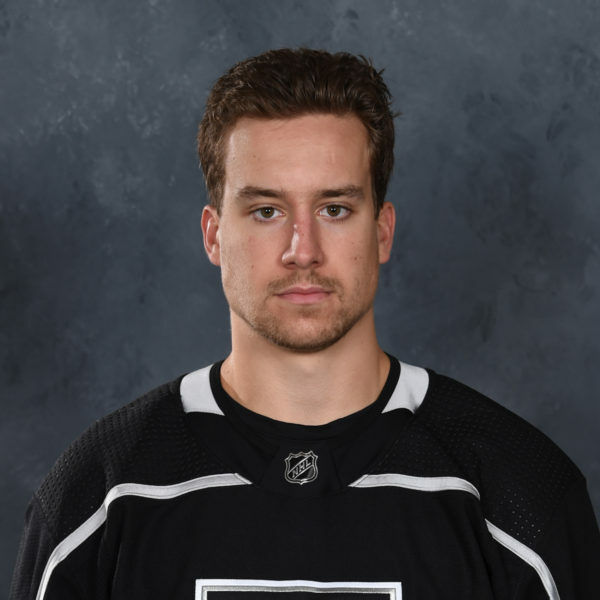 –Anything can happen in a 1-0 hockey game so it was key that Adrian Kempe was able to bury a pass from Sean Backman just 4:12 into the third period to give Ontario a 2-0 lead. With the lackluster pace of this game Kempe’s first of the season made it a certainty that the Reign would come away with the win at least in some fashion. 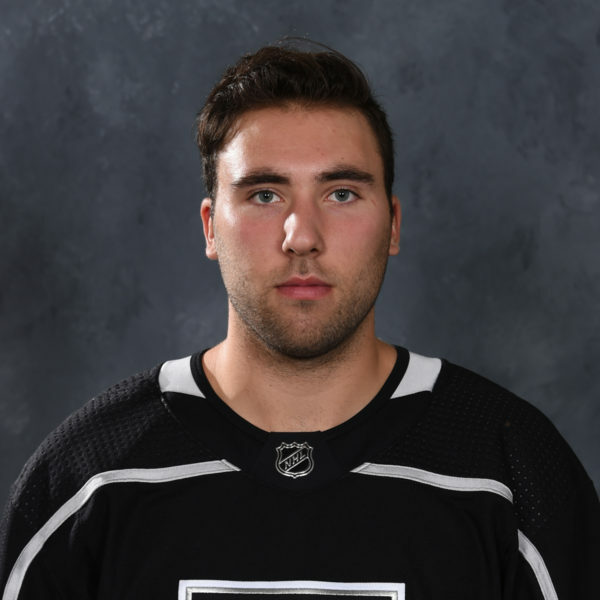 –5 – The Reign took too many trips to the penalty box, but turned those trips into a positive by padding their PK stats, holding San Jose to 0-for-5 on the man advantage. This was opening home weekend for the Reign and let’s rewind and make note that on Friday the Kings and Reign both sold out their buildings, proving hockey is alive and well for both fanbases. Reign team president Darren Abbott on the double-jackpot: “I think it’s pretty exciting. We had 9,000 here and of course the Kings keep having those sellouts, so that’s what we aspire to be here in the Inland Empire. It’s a great start for us, over the weekend we’re going to have two big crowds. Last night’s sellout was something that my staff worked hard for, all summer long really in preparation for that, and I think we came out of the box in good shape. It’s really cool, the fans in Southern California, they know their hockey. And we’ve got youth hockey players on the ice between periods in both games so that’s just a testament of how far this game’s come from back when Luc and Wayne got here.” Saturday night’s attendance at CBBA? 8,285.